The 80-20 rule is a practical approach to following a clean eating diet that will help you create a healthier relationship with food. 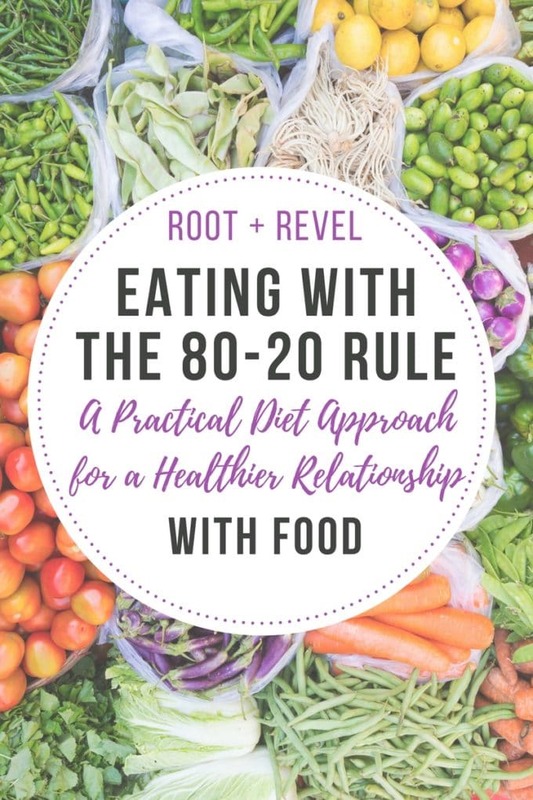 Learn what the 80/20 rule means for eating and how to realistically apply it to your diet so you can still enjoy delicious food and achieve optimal health. Real talk: All this healthy talk can be kind of a drag sometimes, right? 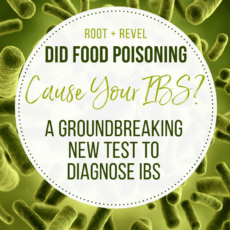 I’ll admit, when I was first diagnosed with PCOS and Leaky Gut, I panicked. Not only am I a food writer whose job it is to report on the most delicious foods (which, let’s face it, are often deep-fried and smothered in cheese, or full of saturated fat and sugar), but I’m a food lover who believes strongly that life is not worth living without fried chicken, French fries and champagne (that may be my “death row meal”, actually). How was I ever going to reverse these conditions naturally by eating super healthy, and not feel like I had to sacrifice good food? Not only was I totally overwhelmed, but life is full of parties and special occasions, nights out with friends, amazing restaurants, traveling to new places and just SO, SO MUCH delicious food. Who wants to miss out on that? There is so much joy in food, in gathering around a table with loved ones and sharing a delicious meal, in savoring one of life’s greatest pleasures. Plus, obsessing too much about sugar-free this or non-toxic that isn’t healthy either. That is why I am a firm believer in the 80-20 rule. In food terms, this means that if you eat three meals a day, seven days a week, then four of your meals can be “freebies”. Or another way of looking at it is to eat healthy during the week and indulge, without guilt, on the weekends. Getting rid of the guilt is key! Perfection isn’t healthy, and it’s boring. Who needs it? Instead, what we need is pounds and pounds of fruits and vegetables. For a society that eats as much as we do, we are incredibly malnourished and nutrient deprived. In fact, one of the biggest lessons I’ve learned on my journey is that eating well isn’t about cutting out all of life’s pleasures. It’s not about sacrifice or going without, and it’s certainly not about counting calories. No, eating well isn’t about taking away; rather, it’s about adding good in. It’s about giving your body the nourishment it needs so that you can tackle the day, feel good and bounce back when that burger comes a-calling. Yes, I’m addicted to green smoothies and bone broth and I eat a mostly plant-based, anti-inflammatory diet. BUT, I also treat myself to fried chicken and pizza and one-too-many glasses of red wine every now and then. 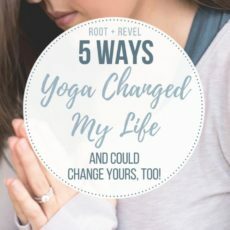 And that’s exactly what Root + Revel is all about: striking the balance between good and good for you. What to eat on the 80-20 Diet? If you’ve been following Root + Revel for a while now, you know that our food philosophy is pretty simple: eat real food. We are also big supporters of the anti-inflammatory diet. When people hear the word diet, they automatically think about counting calories and eating bland, tasteless food. But the truth is, an anti-inflammatory diet isn’t a diet at all–it’s simply a way of eating, a lifestyle. And it isn’t totally restrictive. You don’t have to completely cut out entire food groups to reduce inflammation in your body. Instead, it’s about eating more of the good (real, whole food) and simply less of the bad (processed, refined junk). 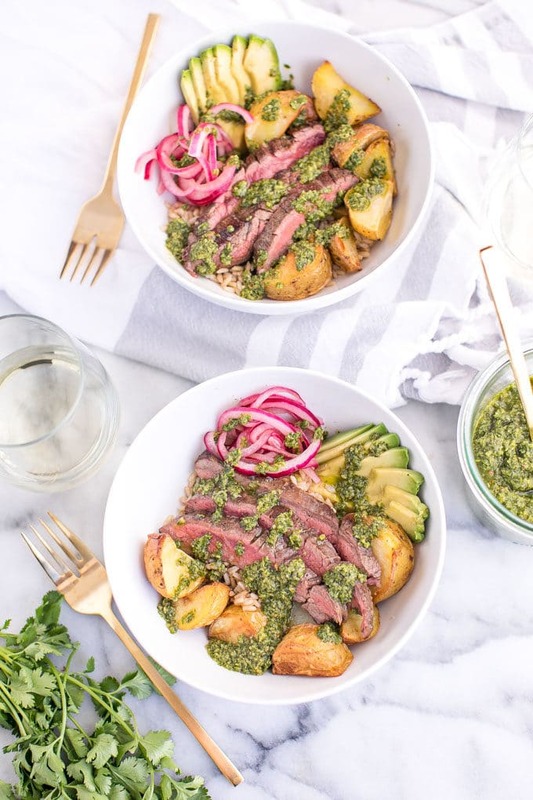 See this concept in action in our delicious recipes, like these Chimichurri Steak Bowls or these gorgeous rainbow spring rolls (pictured above) or this slow cooker pork banh mi dish. The reason this concept works, I believe, is because food has a cumulative effect in the body. So, allergies aside, eating two servings of gluten a week isn’t the same thing as eating gluten with every meal. Try not to be too dogmatic about food, or feel the need to apply strict labels. People are always asking me, “so you’re Paleo?” or “so you don’t eat that because you’re dairy-free, right?” And my answer is always: it depends. There’s room for all food in a balanced diet. Food shouldn’t be stressful or difficult–it should be delicious and satisfying. 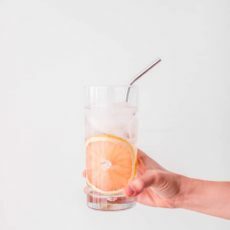 So even though I recommend minimizing your intake of gluten, dairy, sugar, hydrogenated oils, caffeine and alcohol, know that our eating advice is always served up with a big spoonful of balance and reality. As with all things on Root + Revel, life is meant to be celebrated and there’s no better way to embrace it than with food. 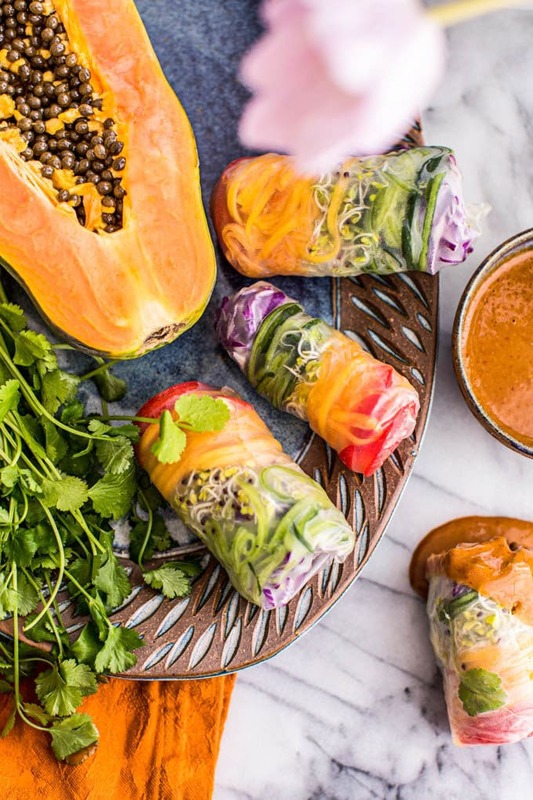 So take these guidelines as just that–it’s not about being perfect; rather, it’s about being aware, about making informed decisions, about nourishing our bodies so we can live a happy, healthy, balanced life. Sometimes a cheat day is in order. Sometimes it’s just not a birthday without cake. Sometimes french fries are necessary to maintain our sanity. So break the rules once in a while and aim to eat mostly healthy, clean, organic, nourishing foods; rather than only those foods. That’s the 80-20 rule! It’s also important to note that every single human body is different and has its own set of tolerances and sensitivities. Some people can’t handle gluten. Others are lactose-intolerant. Some are allergic to nuts, while others have seemingly iron stomachs that can digest anything thrown at it. I’ve found that rather than apply one “diet” or way of eating to all of humanity, it’s best to listen to your own body and eat those foods that make YOU feel good, and avoid those foods that don’t. Everyone can and should adjust their own personal “diet”, within the boundaries of real food. There’s no right or wrong–there’s just what’s right for YOU. I truly believe balance is the secret to living a long, healthy and happy life. But while life isn’t worth living without the pleasure food provides, but it’s no fun living with chronic disease, either. Find the balance that works best for you. Cheers! Thank you for this informative and inspiring post. Just what I needed to read today. YAY! It makes me so happy to hear that. Thank you! It was no mistake that I found your blog today! I needed this post more than I can even begin to say! Thank you! Thank you! Thank you!! Just what I needed to read. It’s overwhelming trying to change eating habits even if it is for the right reasons! Love this! I really believe 80-20 rule for healthy eating *is* healthier for my mental state than 100% healthy eating.